The Chat API was removed with v2.0 of the Graph API, there is no way to send messages with an API anymore. 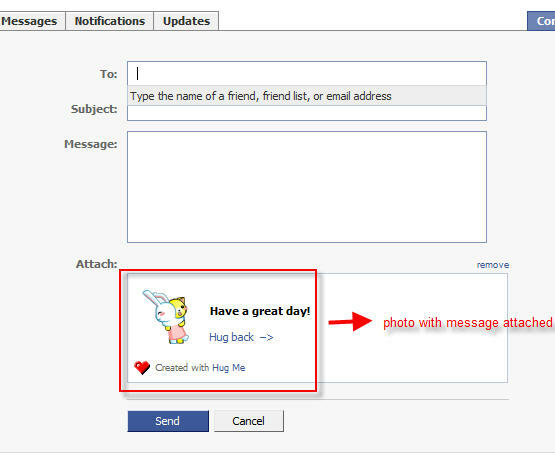 Btw, messages are for communcation between real users, they should not be used as notification system anyway. SMS is still a good option for those kind of warnings imho.... The Chat API was removed with v2.0 of the Graph API, there is no way to send messages with an API anymore. Btw, messages are for communcation between real users, they should not be used as notification system anyway. SMS is still a good option for those kind of warnings imho. I have sent multiple emails from my Gmail and Hotmail accounts to a Facebook address, which looks like [username@facebook.com] yet none of the emails were received by the Facebook user. silicone cake pans how to use Q. 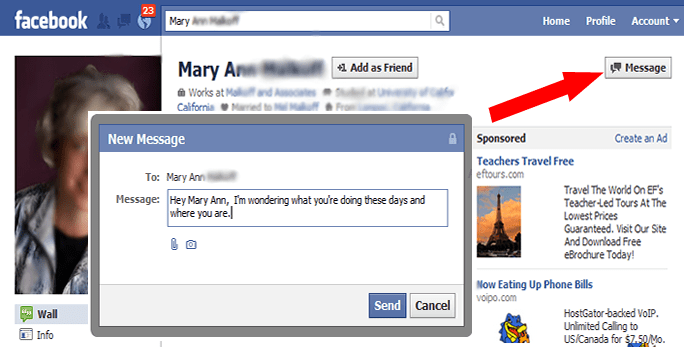 How to send an email to FB user? Create an app. Have the user auth the app (ask for access to email address in GDP - permissions). Use your email solution to send an email to the user. The Chat API was removed with v2.0 of the Graph API, there is no way to send messages with an API anymore. Btw, messages are for communcation between real users, they should not be used as notification system anyway. SMS is still a good option for those kind of warnings imho. In my experience, some recipes and ingredients work better than others, but the simple recipe we need to send an email notification is pretty basic, with not a lot you can change. However, you can add up to five recipient e-mail addresses in the ' To address ' section. I have sent multiple emails from my Gmail and Hotmail accounts to a Facebook address, which looks like [username@facebook.com] yet none of the emails were received by the Facebook user.